In this article, it is proposed a prototype oriented to nurse-call, which allows to create and inform the request of emergency care of a patient to the public, by means of embedded devices like the Raspberry Pi and a Display Touchscreen LCD. The emergency call is carried out by means of a network of switches that activate a channel, then this signal is conditioned and processed to be transmitted by means of a serial bus RS-485, then the received message is decoded and shown on an LCD screen, finally the request information is stored in a database. Some experiments were conducted to evaluate the energy consumption, the rate of data loss, the scope, as well as tests to validate the scalability of the prototype. The results show that the proposal presents an increase in the demand of electric energy, mainly due to the characteristics of the technology used, however, the results show that the designed system allows to quantify the dynamic in the time of the nurse-call and is compatible with other similar systems. 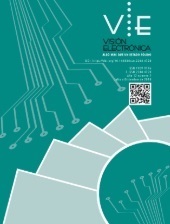 A. Calvo Salcedo, C. Henao Baena and P. Izquierdo Betancur, "Diseño de un sistema de instrumentación y medida inalámbrico para la atención hospitalaria: una alternativa", Gerencia Tecnológica Informática, vol. 15, no. 41, 2016, pp. 33-46. F. Nightingale, M. Vicinus and B. Nergaard, “Ever yours, Florence Nightingale”, Cambridge, Mass. : Harvard University Press, 1990. F. Ongenae et al., "User-driven design of a context-aware application: An ambient-intelligent nurse call system" 6th International Conference on Pervasive Computing Technologies for Healthcare (PervasiveHealth) and Workshops, 2012, pp. 205-210. J. Klemets and P. Toussaint, "Availability Communication: Requirements for an Awareness System to Support Nurses' Handling of Nurse Calls", Studies in Health Technology and Informatics, vol. 216, 2015, pp. 103 - 107. A. Ezust and P. Ezust, “Introduction to design patterns in C++ with Qt”, Upper Saddle River [etc. ]: Prentice Hall, 2012.